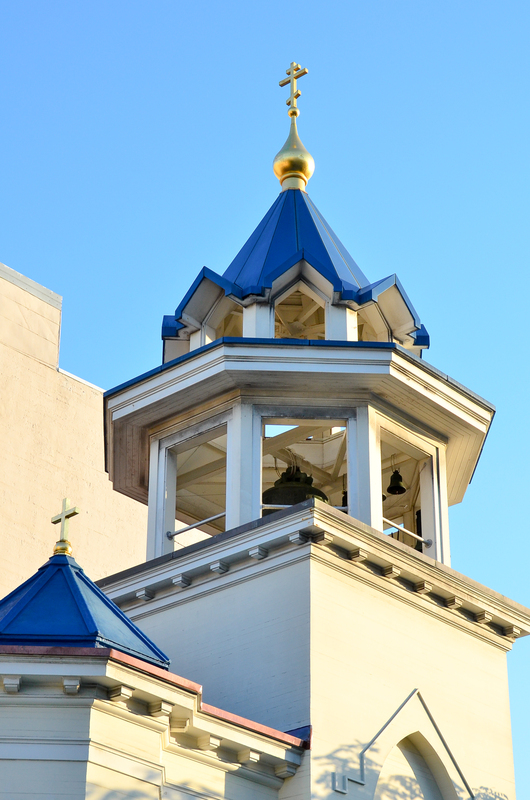 One hundred and fifty years ago, during the Holy Week of 1868, an Orthodox missionary was sent to San Francisco from Alaska to conduct Paschal services here. 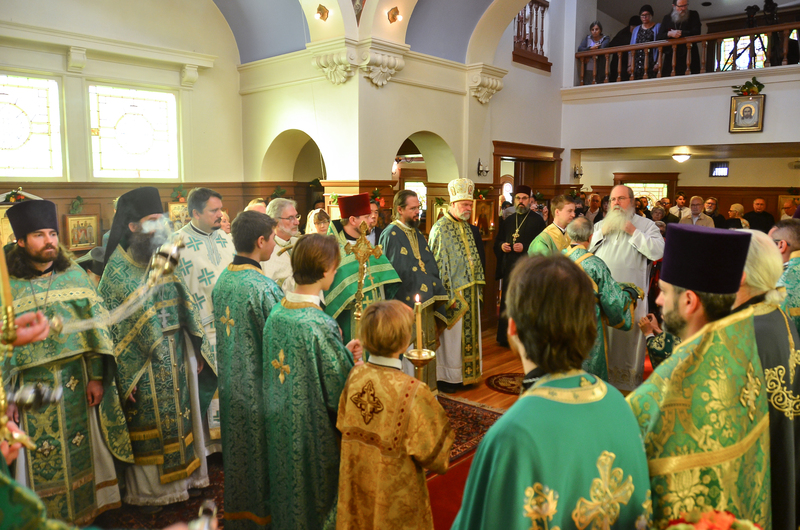 This marked the beginning of regular liturgical life here in our City. Since then, we have traced our jubilees from that year. 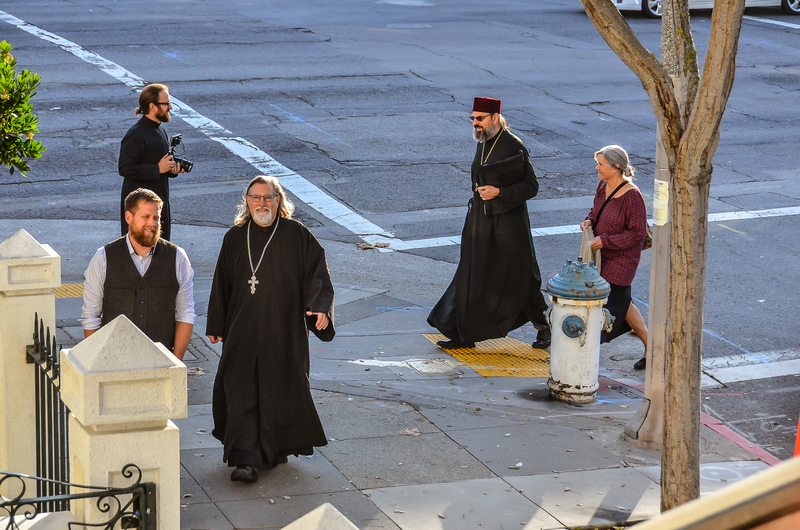 Parish life took root even earlier: we trace our history to December 2, 1857, when the first Orthodox Society was founded in San Francisco. 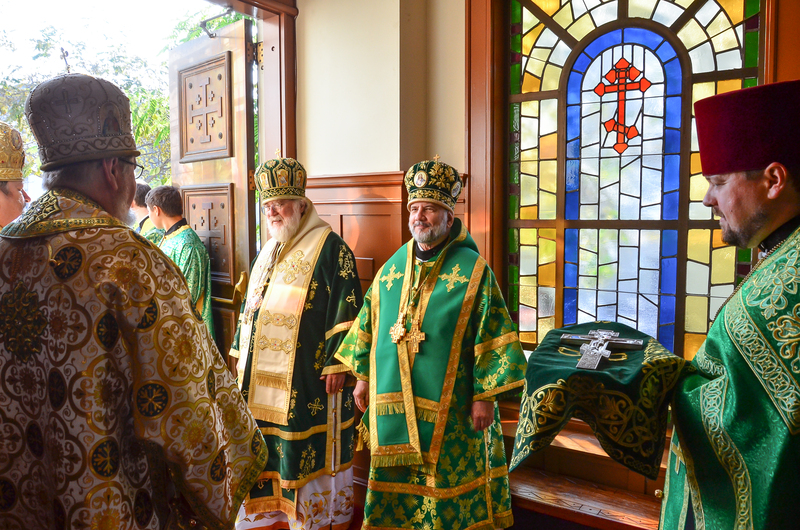 Ten years later, on September 2, 1867, it was incorporated as the Greek Russian Slavonian Orthodox Eastern Church and Benevolent Society. 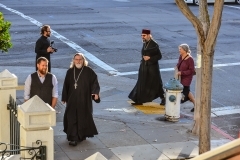 During these years, the Orthodox population of the Bay Area was spiritually and sacramentally served by chaplains from Russian Navy ships that frequented San Francisco Bay. 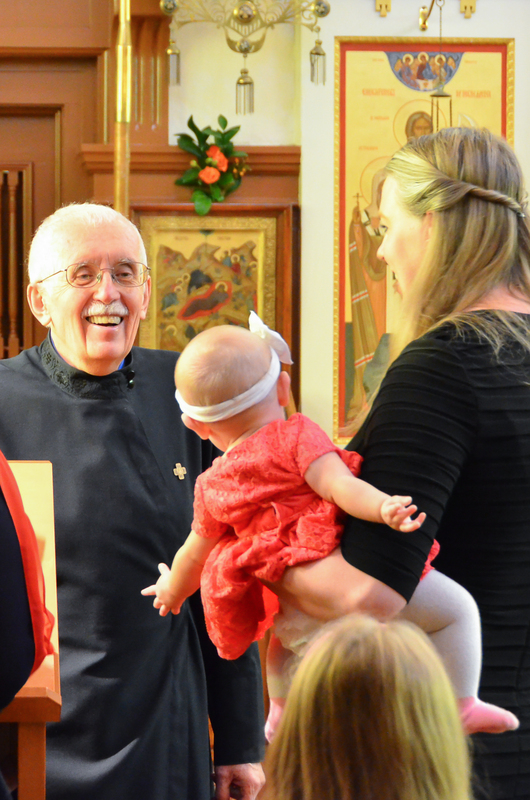 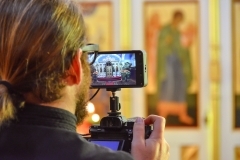 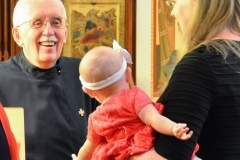 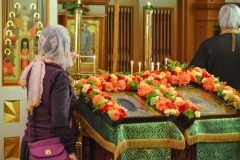 We give thanks to God for the efforts of the pioneering Orthodox parishioners in San Francisco, including young St. Sebastian (Dabovich) and his family. 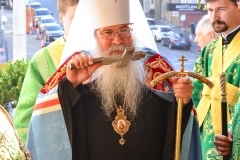 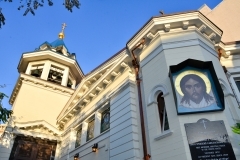 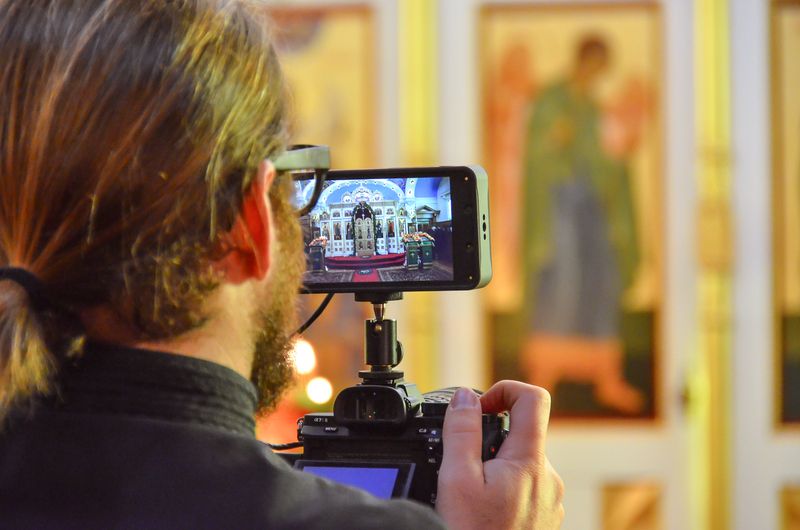 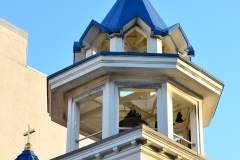 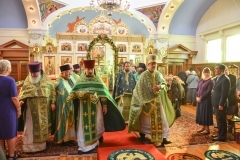 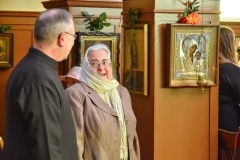 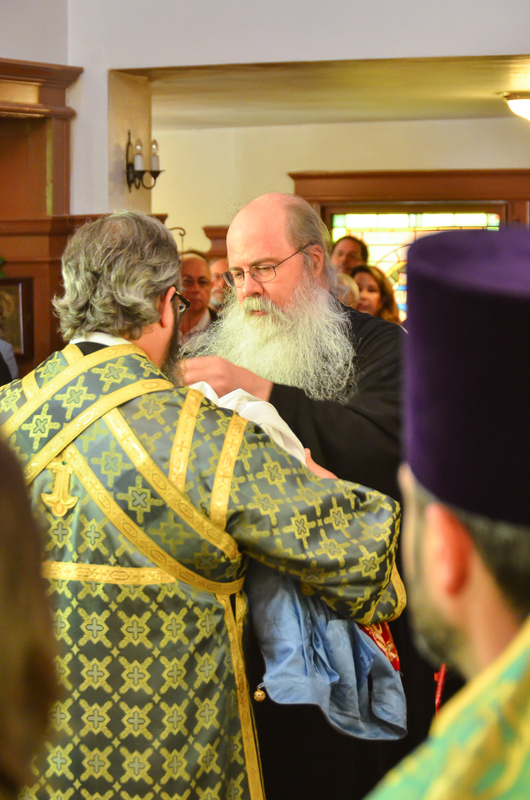 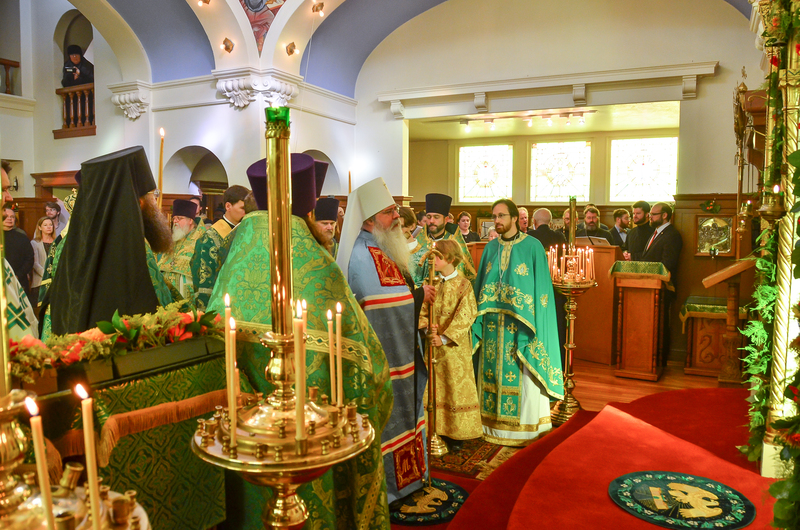 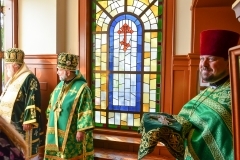 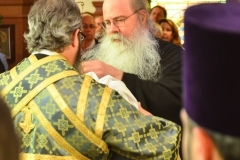 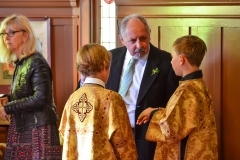 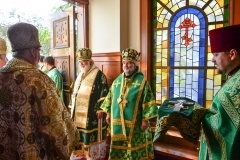 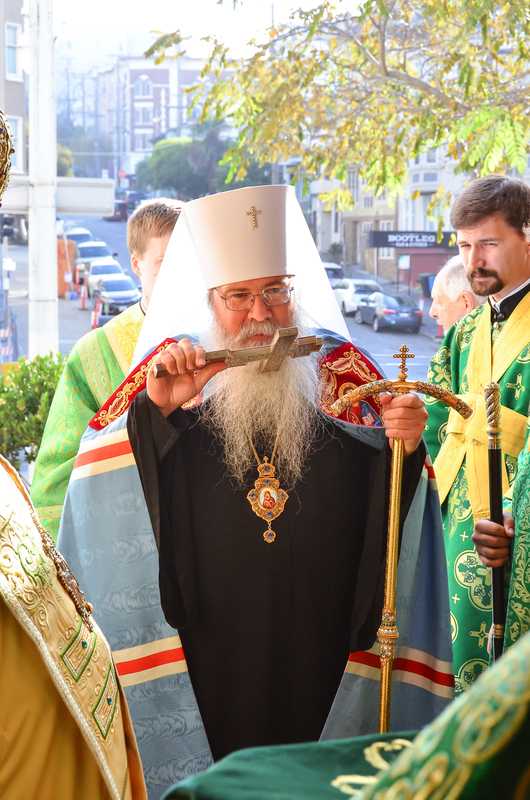 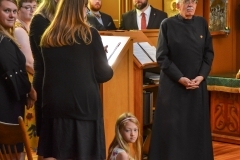 As we gather to praise and thank God for preserving and building up church life in San Francisco, we also celebrate how the beginnings of Holy Trinity Cathedral mark the establishment of the Orthodox mission throughout what is now the Diocese of the West and indeed all of North America south of Alaska. 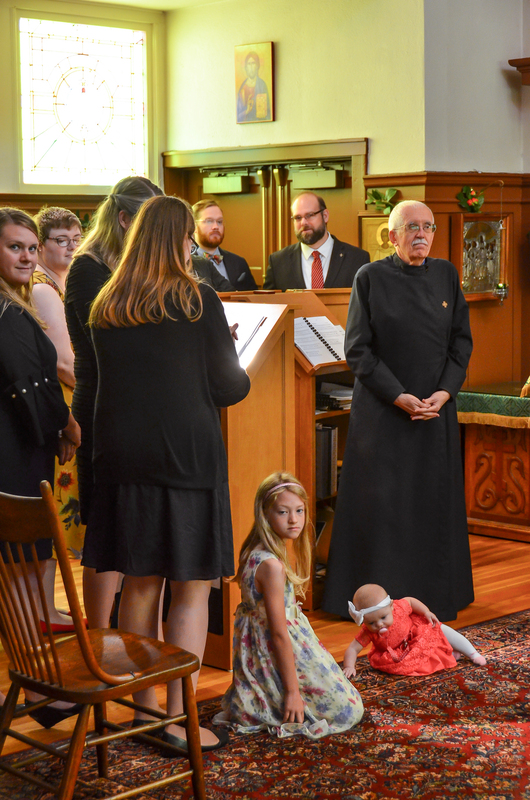 In marking this sesquicentennial, we ask God to strengthen and preserve all of us for the next 150 years as we seek to proclaim the good news of our Lord, and God, and Savior Jesus Christ in our time and place. 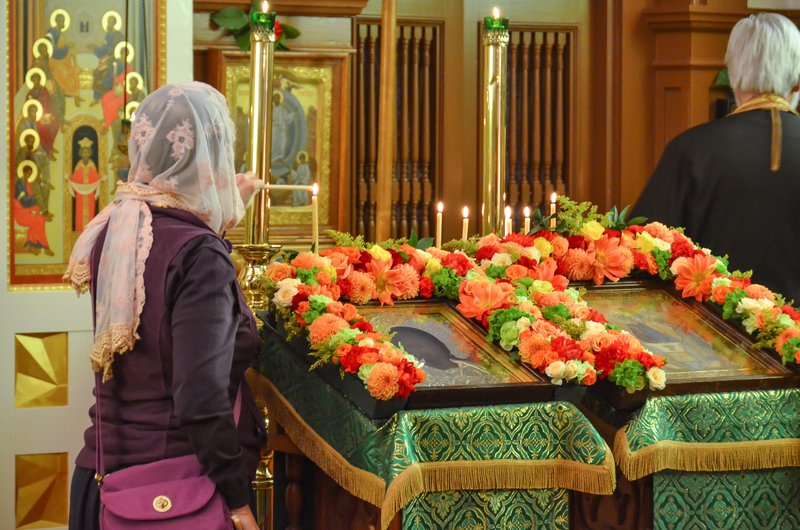 We are honored to share this event with those from near and far! 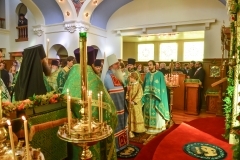 The festive celebration was held on Saturday, October 20, 2018. 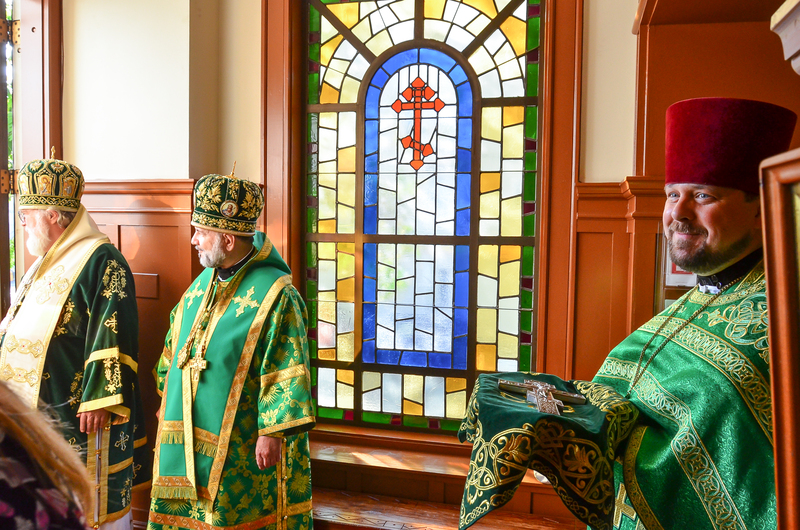 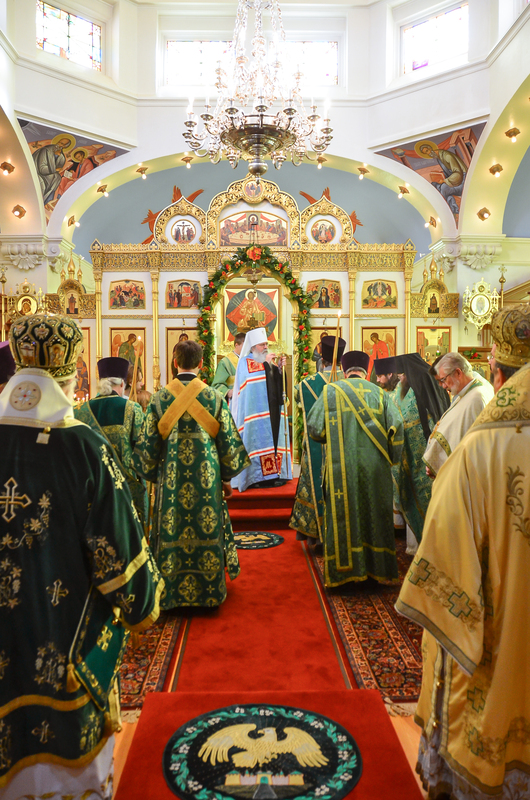 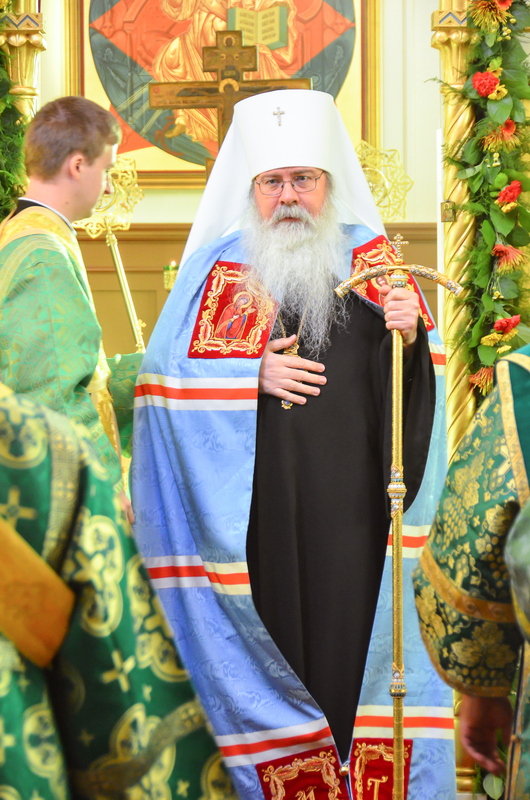 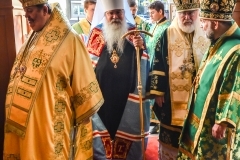 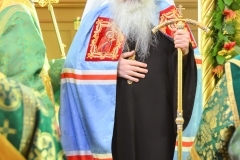 His Beatitude, Tikhon, Archbishop of Washington, Metropolitan of All America and Canada presided at the Divine Liturgy. 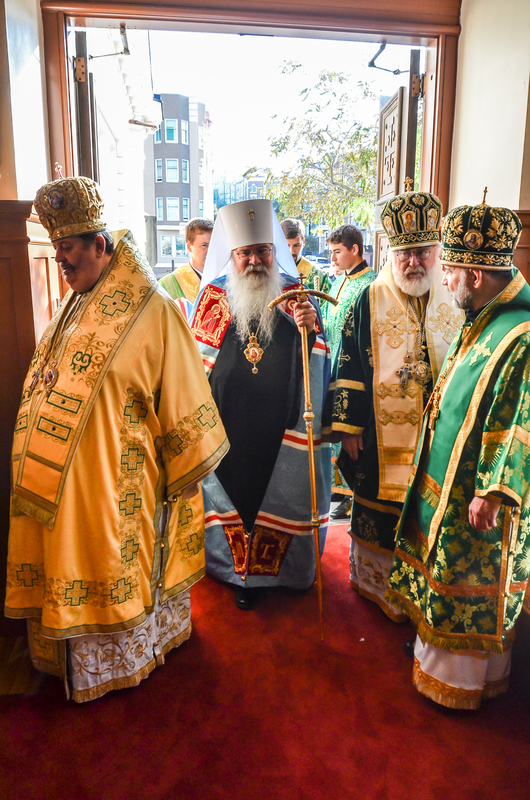 The following hierarchs concelebrated: His Eminence, Abel, Archbishop of Lublin and Kholm (Church of Poland); His Eminence, Benjamin, Archbishop of San Francisco and the West; His Grace, David, Bishop of Sitka and Alaska; and His Grace, Daniel, Bishop of Santa Rosa. 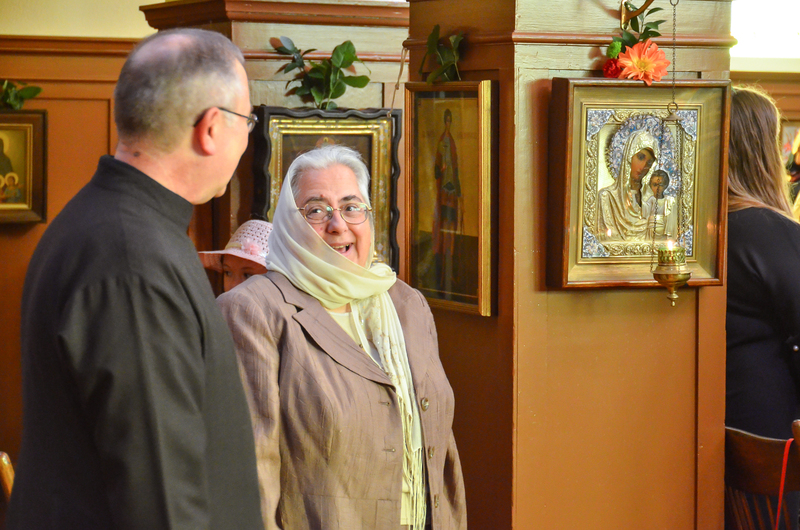 Photographs: Aaron Brodeur and Roman Ostash.